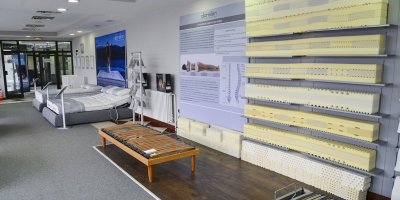 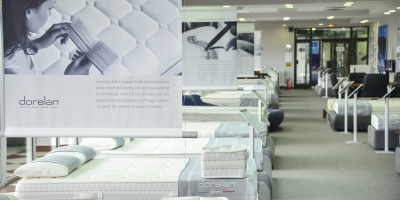 From recently our company is the official opening of a representative office and showroom of the brand renowned for the production of mattresses and beds Dorelan of Italy. 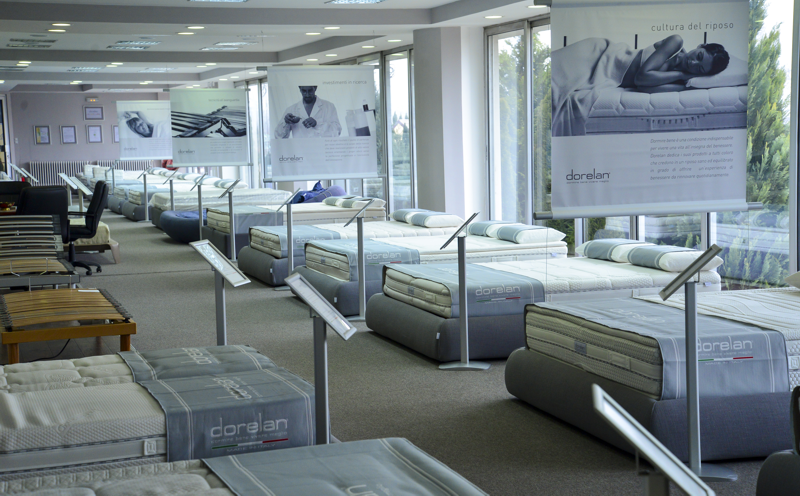 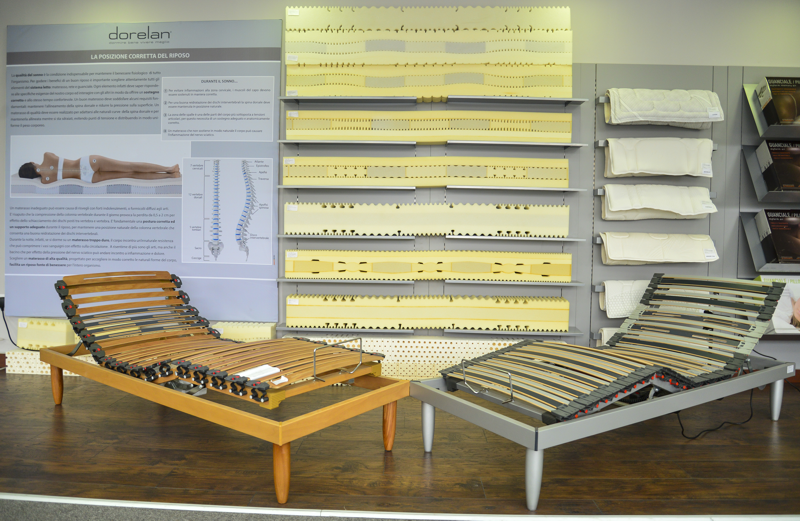 The showroom for mattresses, beds, pillows and bedding Dorelan which covers an area of ​​300 m2, is also located on ul. 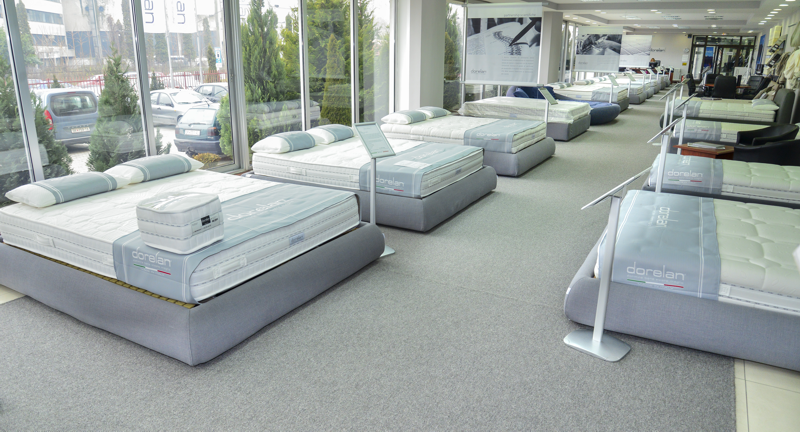 “Pero Nakov” no. 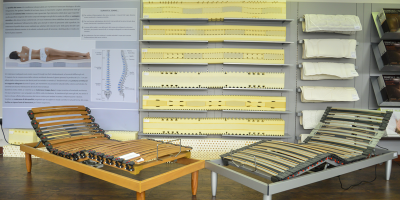 31 under the “TEKSTIL” j.s.c. 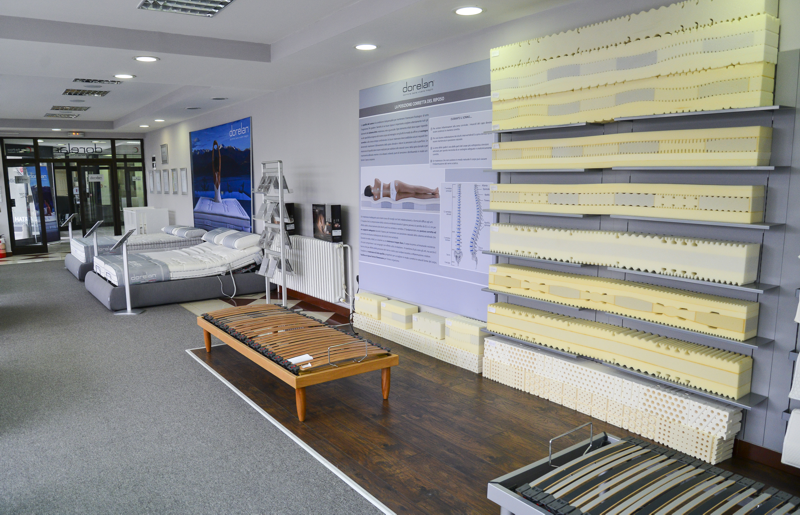 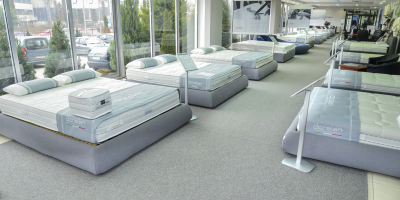 Skopje and it is the largest and most exclusive showroom for mattresses in the Republic of Macedonia with more than thirty models exhibited. 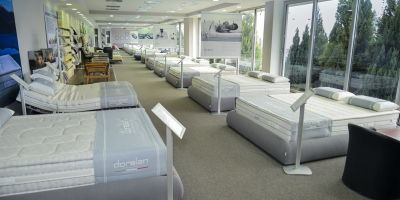 Dorelan has an extensive and diverse range of products which nearly are available in a complete range of Macedonian consumers including: mattresses, pillows, bed bases, beds, bedding, latoflexes and a special baby program which is composed of products intended for a good sleep for the youngest. 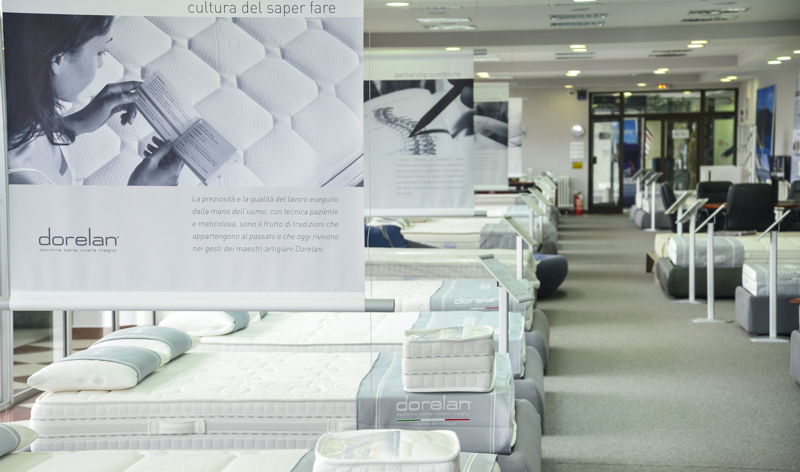 Dorelan mattresses have all the necessary certificates of full satisfaction of their users, and especially important at this area would be: medical certificate ensures that products are Dorelan antibacterial and anti-allergic (dispositivo medico), eco-certification, OEKO-TEX Standard certificate who only is owned by Dorelan as plant and stating that Dorelan mattresses are made exclusively from organic materials and are the best solution for you and your health. 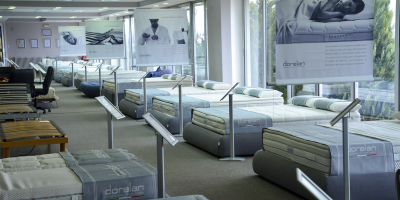 For the reputation of Dorelan speak their reference list, which is primarily the best hotels in Europe and the presence in myriad residential units. 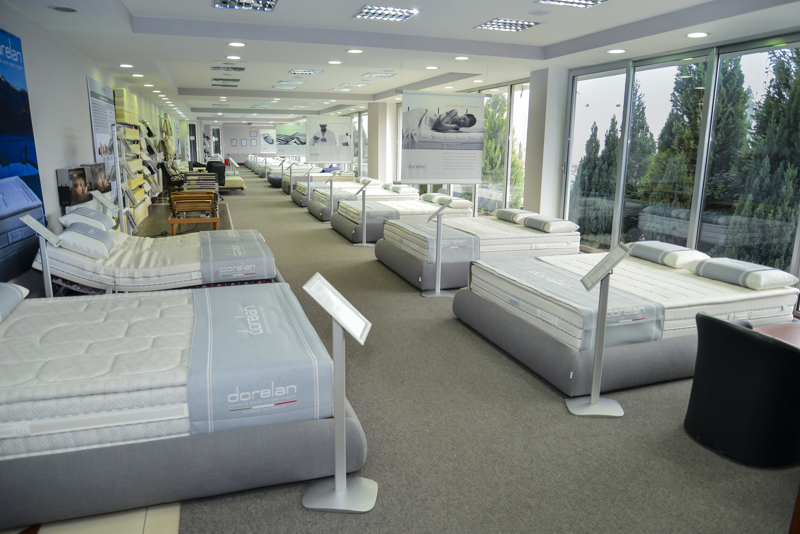 Our goal with Dorelan is to create many success stories in Macedonia.